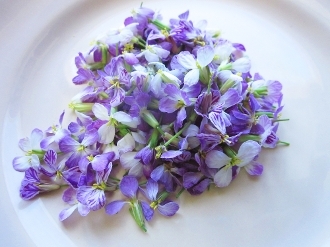 Small, pretty 5-petaled flowers with a kick of spicy radish flavor! Colors of light purple & white. Top salads and crudites. Great garnish for sushi.